Get unlimited 1-year 10% OFF coupon! Once you register your school with hulaohana, you get 10% OFF discount coupon for any item valid for 1-year that you can use as many times as you want. There is no limitation for number of your order and price with this coupon. To update and keep your 1-year coupon active, you may send us a group shot of your team dressed in hulaohana products at least once a year!! This way, your 1-year coupon will be renewed automatically. -Since this coupon is simply to support and encourage hula students all over the world, the coupon is not dedicated to retailers and general customers. -Your school information will be also posed on our "Hula School Information” page, excluding group shot(s). -Cannot be used with other discount coupons, bulk discount or hulaohana points. -Some products may not be applicable for the discount. -We are going to give you a school discount from the day we receive your school information and complete registration. If you want to get a school discount, please send all information before placing order. -When does your halau have performance? Especially during busy season, delivery date may vary depending on a number of your order(s) and options which you have selected; however, we will always try very hard to meet your expectations. Please let us know your performance details including date before placing order. “20 year old Halau located between Dallas & Fort Worth, Texas. Looking forward to sharing our Polynesian culture & traditions in beautiful pa'u and dresses from hulaohana. Mahalo nui loa. “We have been ordering our hula uniforms and performance attire from hula ohana for 3 years and they have always been exceptional in their service, beautiful prints, great quality, affordable prices and fast delivery. We are very pleased with their company.You can find our hula halau in Chandler, Arizona.We offer Kahiko and Auana for girls and adults, as well as Tahitian dance for teens and adults. 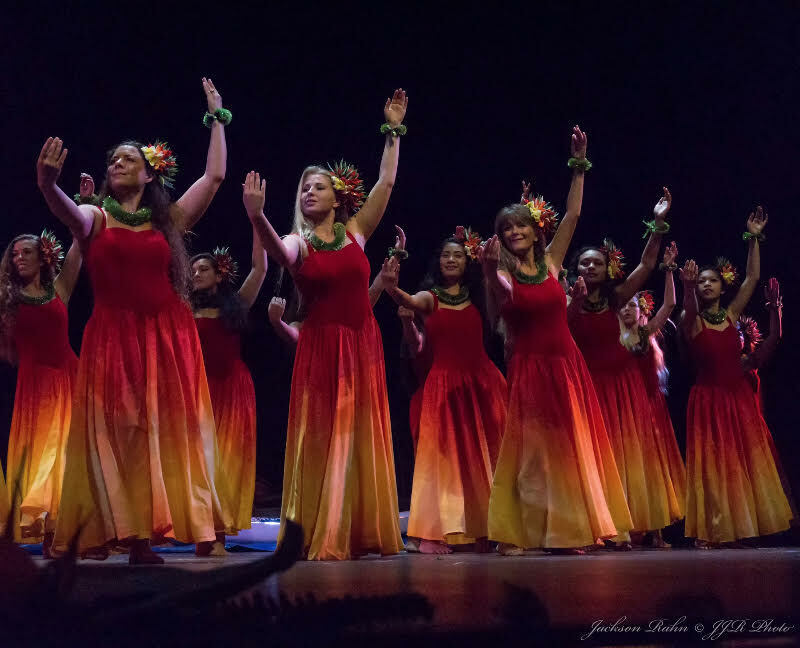 “Holy Spirit Temples Praise Hula Ministry based in Stockton, California, is a Christian Praise and Worship group that honors God through dance. We found your website in 2015 and have been happy with all of our purchases.Mahalo Nui Loa! “The dance class at Gila Ridge High School is putting on a Hawaiian dance Concert. I am in charge of finding costumes and I find your pa'us are beautiful. “WE LOOK FORWARD TO USING YOUR BEAUTIFUL DRESSES IN OUR HO'IKE ANNUALLY! “We are so excited to be using hulaohana to create a unique and beautiful look for our competitive show choir! They will definitely help us to complete the unique Polynesian look for this year's show. Thank you for all of your help! “We are a Show Choir and have a song by Te Vaka in our set and would like to dress in official/traditional pau outfits for our show choir competitions. 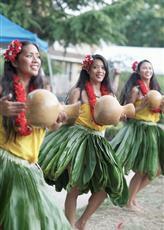 “Our hula school in Santa Cruz perpetuates Hawaiian and Tahitian culture through classes and performances. We learn and perform both sacred dances and festive dances that evoke the magnificent spirit of Polynesia and its people. Te Hau Nui means forever peaceful in Tahitian and we seek to convey the beauty, grace, joy, and power of Pacific Island dances. We welcome adults of all ages and children to join our school where we share the meaning of ALOHA with one another and a sense of ohana or family. 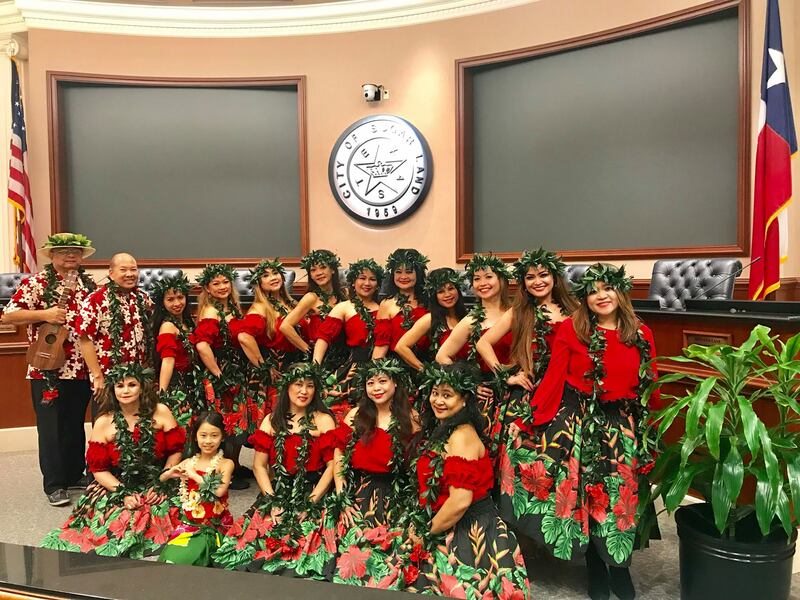 “We are a traditional school of hula with a mission to provide a positive environment that promotes cultural awareness among students and in the community as well as personal growth and development of each student. The halau provides formal training in the study of hula including traditional dance, chants, music, language, history, values, customs, arts and crafts. “We are looking forward to ordering our hula dresses and pa'u skirts from Hula-Okana.Your store has beautiful fabrics! “As a dance studio in a small, rural, Wisconsin community, we work very hard to expose our dancers to a variety of culturals. We are so lucky to find a company such as hulaohana that provides authentic apparel at a reasonable rate, to make the experience more real! “Aloha Hulaohana, we are a new group based in Whittier, California. One of my haumana directed me to your site. I am so glad she did *:) happy. I love your variety of styles and colors at such a reasonable price. We are looking forward to placing our order soon. “Awesome Skirts and Dresses here. We are so excited to get these new beautiful hula dresses from Hula Ohana. Our hula halou will wear them for a very special concert with Hawaii.’s Grammy Award Winner Kalani Pe’a. I was so excited to find your web sight. all the dresses and pa’u skirts are so beautiful I look forward to ordering for my students. We love your pa'u skirts and are excited of all the choices available for the dresses, all at such a great price! Our organization was established to distribute Hawaiian arts and culture, as well as the aloha spirit, to Korea and the Korean people. We are working to train and educate capable hula instructors to help more people in Korea learn hula dance, which can help not only physical health, but also psychological health.I love your pa'u skirts. We look forward to wearing your pa'u in this summer's 4th of July parade in Southern Oregon! We've been so happy with the merchandise we've purchased with Hula-Ohana. Mahalo! ALOHA, we are an Italian school of dances from around the World, including HULA and ORI TAHITI (Mana Tahiti – Sardegna). We are pleased to join this ohana. Mahalo nui loa~ Hula Ohana! We are looking forward to getting beautiful hula dresses and pa'u skirts. Hula school located in the suburbs of Chicago, IL (with branches in Missouri, and Georgia) focusing on Hawaiian culture, and sharing knowledge of the Hawaiian culture. Founded April 4, 2005 under the direction of Kumu Hula, Tina Marie Momilani Eggert. looking forward to working with you to order some dresses for upcoming competition. Mahalo for well made, beautiful pa’u, prompt service and so much aloha! Korea Hawaiian Culture Association (KOHICA) is a non-profit organization that promotes and develops various Hawaiian culture workshops and events to nurture a beautiful and peaceful Hawaiian culture to Korea.By working with top-class Hawaiian artists, KOHICA has been successfully introducing the authentic Hawaiian arts to Korea.Aslo, under the lead of Donggeol Lee (KEKOA), who is also a Hawaiian music artist, KOHICA performance teams have performed and built experiences at various events and festivals both in Korea and other countries. Mahalo nui loa, Hula Ohana, for offering such wonderful selections for a great price. We can’t wait to order more from you. We want to order a few first to see how it fits.Some of the ones that I chose months ago are no longer in stock but you have such a large selection to choose from. Based out of Ventura County, Ori Tahiti Ventura County offers classes Hula and Ori Tahiti dance classes from 5 years and up as well as a Tahitian Fitness class offered to adults of all levels. With a background in competition for both Hula and Ori Tahiti, combined with Yoga and Martial Arts, Kayla Ancheta Chey breaks down the steps, names, their origins with a focus on theme, translation, posture, and movement. Studio of hawaiian dances "Aloha"
WE LOVE THE VIVID COLORS OF OUR NEW DRESSES. Thank You Hula Ohana. You are now part of our Ohana! Hoping to purchase some of your beautiful outfits in the near future! Aloha! We’re so excited to use the skirts and tops from hula ohana and we look forward to incorporating them into our performances! Mahalo! Aloha~hulaohana! We are a new school of Hula in Seoul, KOREA. I love your variety of styles and colors at such a reasonable price.We are looking forward to placing our order soon. Ka Pilina Ho'olokahi was established in 2001 as the second club on Soka University of America's campus. Our name means "The Coming Together of Peace and Harmony," and we wish to inspire our audiences with our graceful dances of the Polynesian islands. We hold Annual Lu’au in the beginning of April at the Soka University of America. Our Montana Hālau is directed by Kumu Blaine Kamalani Kia, of O’ahu, and Kumu Juni Kalāhikiola Lovel of California. We are supported by Launahele Foundation, a non-profit whose mission is to promote preservation of Hawaiian dance, language and culture.We teach all age students and perform locally at community events. We are a Dance Studio located in Rhode Island. We truly enjoy bringing the aloha spirit to the east coast! We offer Hula and Tahitian classes to both children and adults. We love using hula ohana for their beautiful high quality costumes. Thank you hula-ohana for making out hula team beautiful year after year! Hula-ʻOhana has amazing service and quality hula wear.Our hula club Hoʻonani is back for another paʻu purchase so that we can beautifully serve our community! Based in San Diego, California, San Diego Hula Academy strives to educate, foster and instill the foundations of a traditional hula school with each student and their families. We teach hula in both kahiko (ancient) and auana (modern) styles as well as Tahitian dance through mele, hula, moʻolelo and ʻōlelo Hawaiʻi. 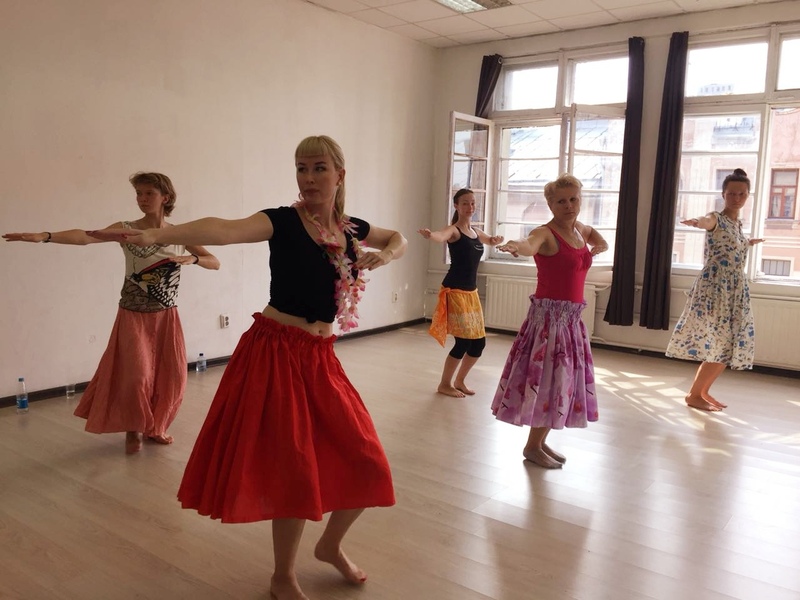 ALOHA!We are a school in Madrid, Spain, dedicated to dance and fitness.We specialize in Hula and Ori tahiti, in addition to other activities.Step by step we are getting closer to the people with the Hula, letting him know and falling in love with this beautiful dance.Come and meet us. We wait for you. Aloha from Mexico, we are very happy to be able to purchase products with such quality as those of Hula Ohana. Mahalo in advance for the discounts. Looking forward to utilizing them a lot.